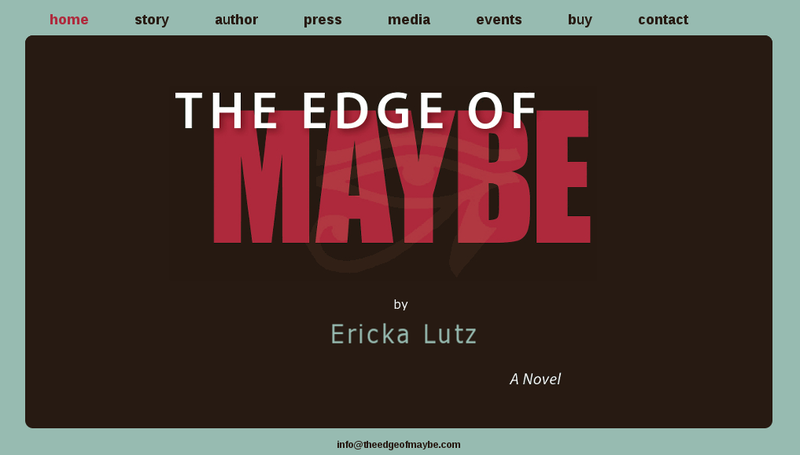 Our website for Ericka Lutz sets the scene for nurturing and inspiring writing retreats. The first time visitor sees the home page only, undistracted by a menu. When the visitor reaches the bottom of the page the menu appears after a mailing list opt-in form, offering the engaged user the ability to learn more. On subsequent visits the menu appears at the top of the page, so a return visitor can quickly navigate. The effectiveness of this "sales funnel" is reflected in extraordinary user engagement. The majority of visitors join the mailing list and that over 80 percent click through to another page of the website. 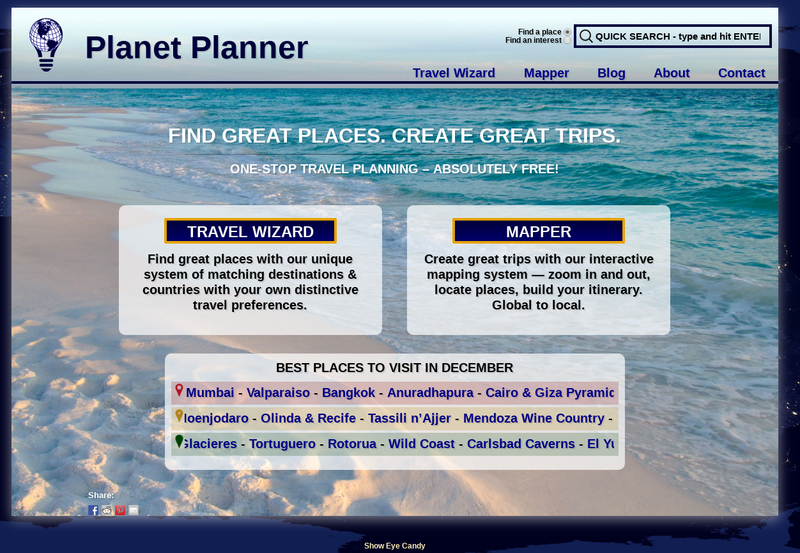 Planet Planner is much, much more than just a website. It's a sophistitcated and fascinating travel tool that allows visitors to explore worldwide travel destinations both by maps and by the types of experiences each location offers. Each travel destination displays a list of accomodations that can be booked directly through booking.com. 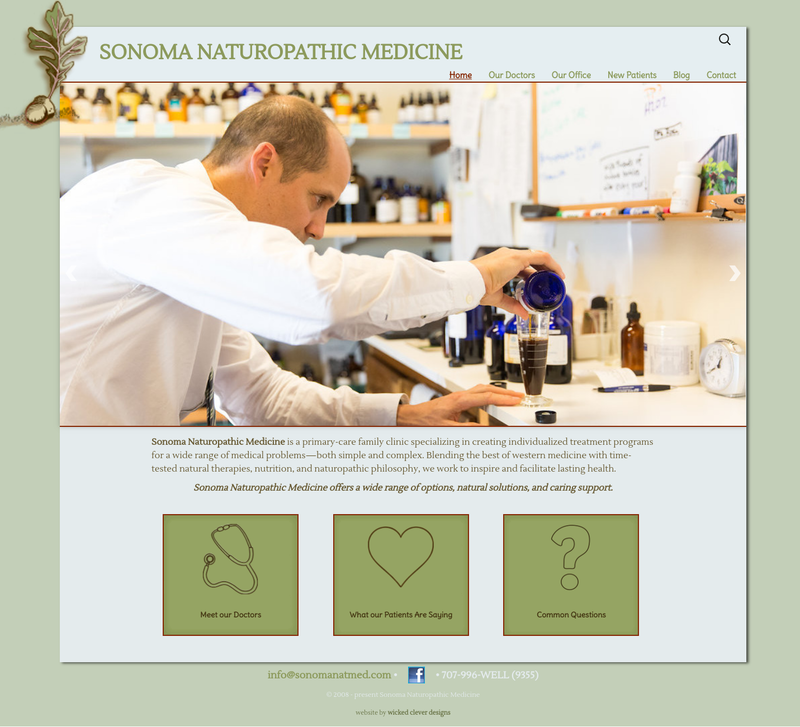 Our freshened up website for Sonoma Naturopathic Medicine is a cleaner, fresher and more modern version of our first revision, in which we stuck with the warm and earthy color palette of their former html site. In that revision we reorganized their content and menu system to make every informative page easy to find, and showed our delightful clients how to upload and edit their own content. The result is rich with color and information. Our mobile version of this site makes it easy to read and navigate on phones and tablets. The Regional Parks Botanic Garden is a 10 acre living museum of California native plants located in Tilden Park in the hills to the east of Berkeley. 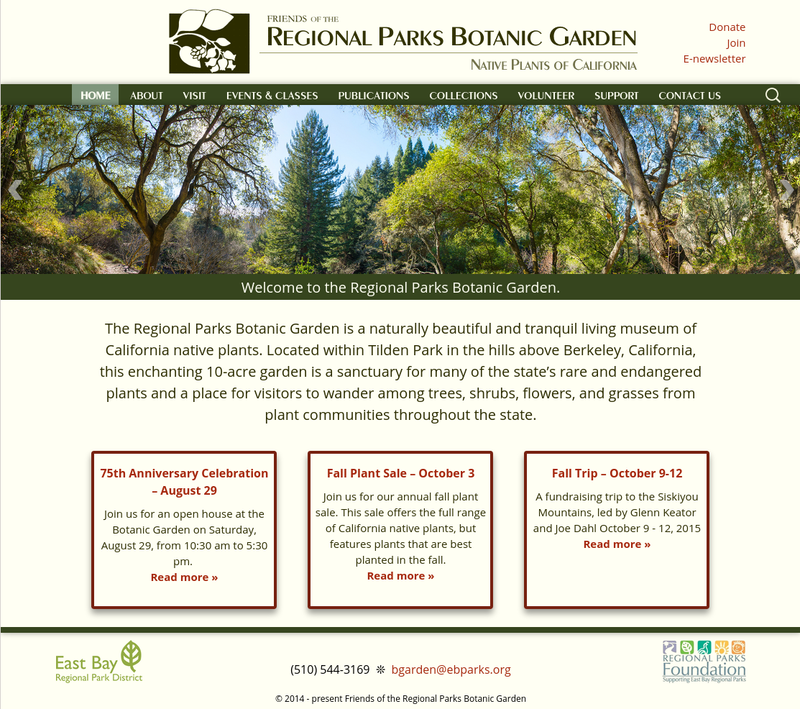 We worked with the delightful friends of the garden to build an online home for their wealth of information about native plants, including galleries of the plants in bloom by month, a lovely interactive map of the garden, front-page events announcement boxes that are updated by the client, and a private area for docents to log in to see schedules and other private information. The site uses gentle, natural colors and a broad, page-filling layout to showcase the spectacular photographs provided by the client. We also built mobile versions of this site, so it looks great on phones and tablets. ALS Research Forum is the website of an organization that compiles thousands of scientific articles on research related to ALS and other degenerative nerve conditions. The purpose of this is to give researchers access to the very latest information relevant to their research goals and methods, so an important aspect of this site was to organize the information cleanly and logically while also providing sophisticated organic and faceted search tools. We began this project by writing a customized "spider" to download and index thousands of articles with images and internal and external links from the existing site, which was built on a proprietary platform in such a way that the internal links would be functional on our new WordPress platform. We then wrote systems allowing the client to create flexible taxonomies so that articles as well as job opportunities, meeting announcements and drugs in development would appear on the proper pages with the desired formatting and tagging. We also created mobile versions of this very complex site so it can easily be viewed and used on phones and tablets. 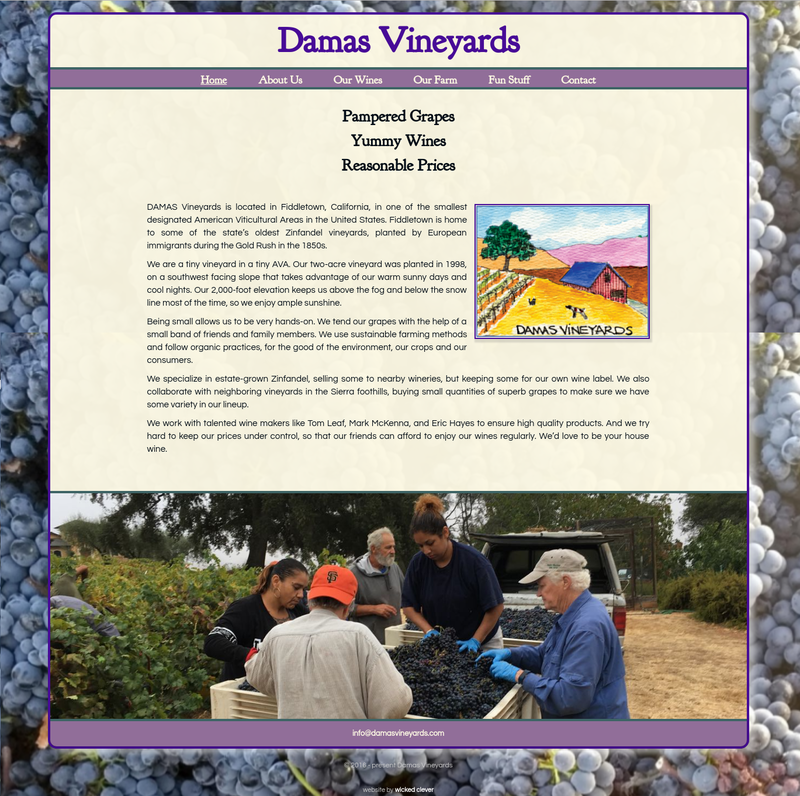 Damas Vineyards is a lovely small California foothill vineyard. This is a unique and friendly website for delightful clients. We added an element of surprise by using a different set of randomly appearing images on each page. 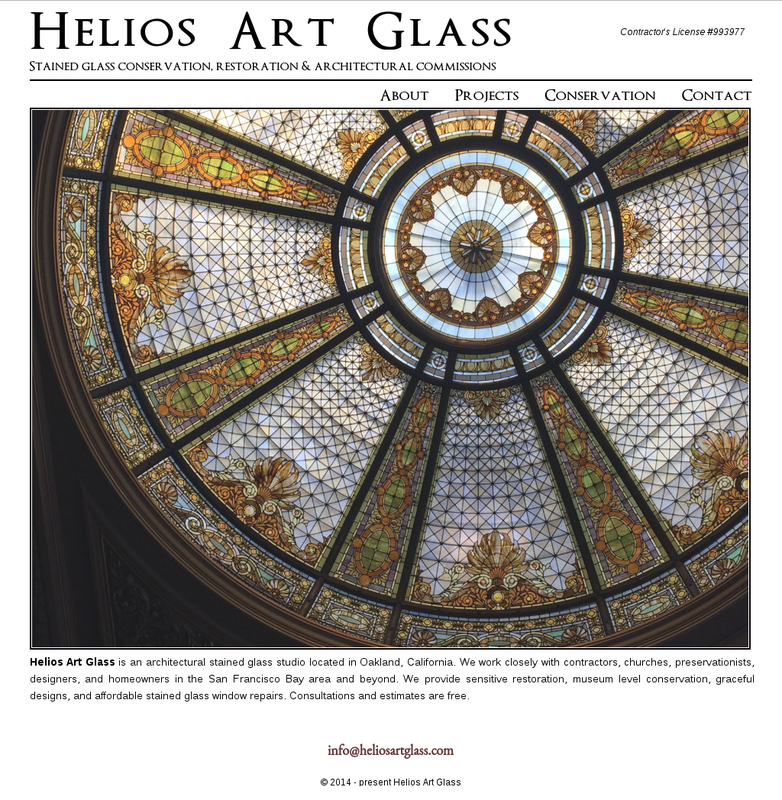 Helios Art Glass specializes in the restoration of stained and leaded glass windows while also creating works of glass art. We based this WordPress site on the clean and simple existing html site, letting the beauty of the breathtaking glass work shine through. We created a gallery system that allows our clients to upload new projects onto their own pages, so they could continue documenting their beautiful work. 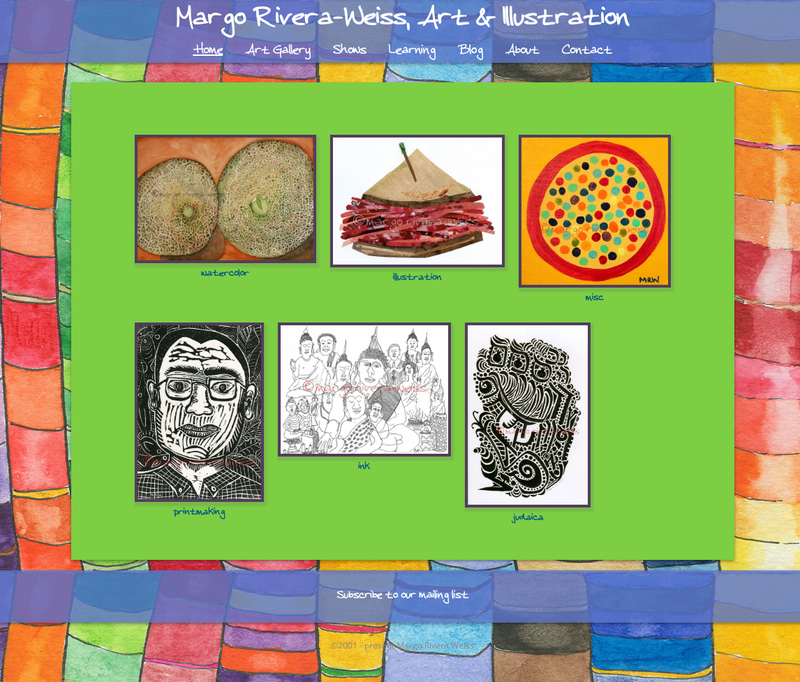 Margo Rivera Weiss is an artist whose vibrant and visually stunning work speaks for itself. We worked with the artist to weave her work together into a website/collage that is a pleasure to browse through. 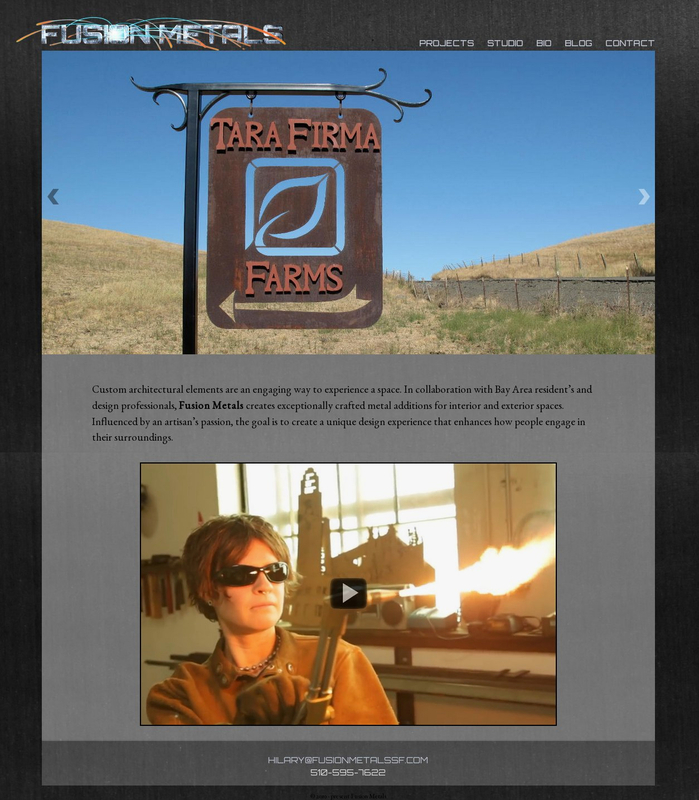 Fusion Metals is a Bay Area company specializing in amazing architectural metal work. The website uses the Wordpress content management system, which allows the client to add new project galleries and images, and provides them with a blog in order to share news with visitors and followers. 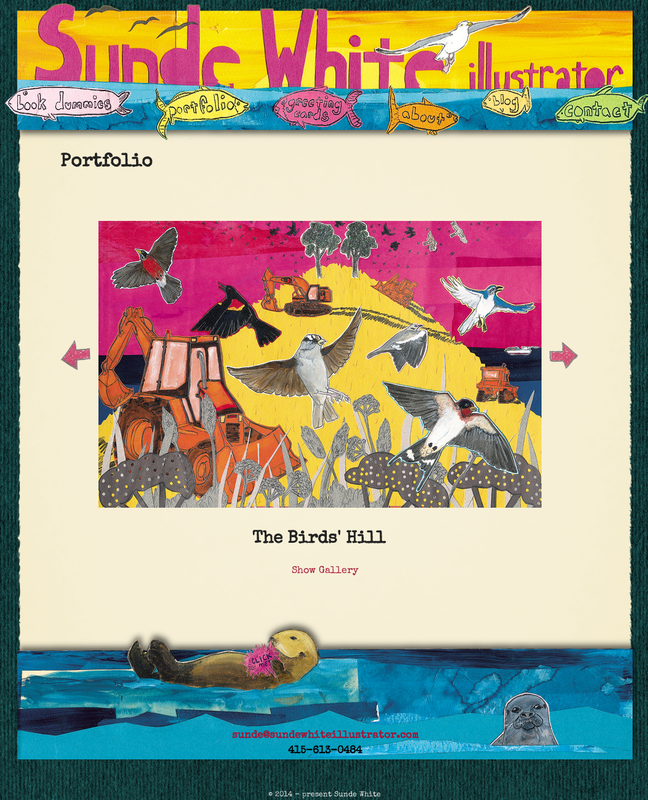 The site is full of visual impact - filled with beautiful images of the artist's work. 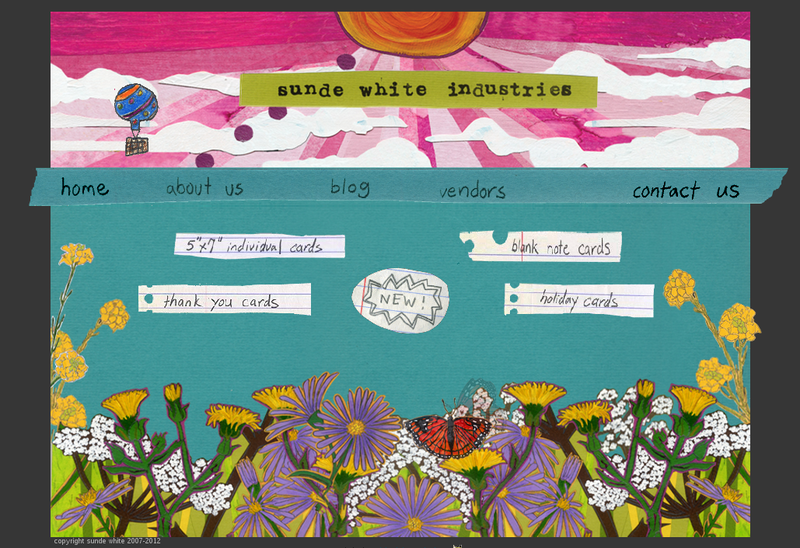 It features a sliding image on the home page, and a separate gallery page for each of the artist's projects. We were happy to teach how to upload new project galleries, add new pages to the menu, and to blog! The punchy logo was created by master illustrator Robyn Adams. CJK Design Group is an internationally renowned architecture and planning firm specializing in places of faith and public trust. With more than 200 projects across the U.S, this company's portfolio is extensive, and its work is stunning. 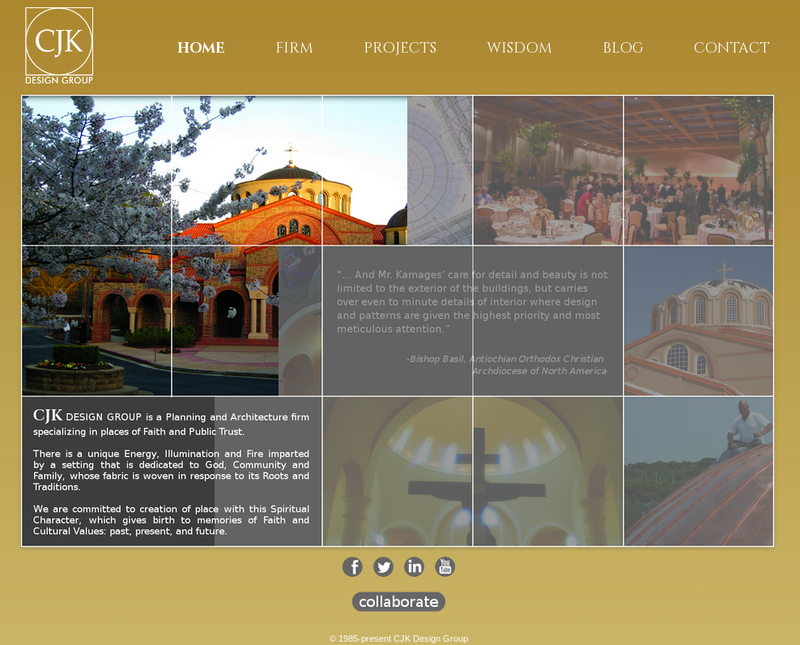 We created a website to showcase CJK Design Group's architectural portfolio with clean, highly customized gallery pages. 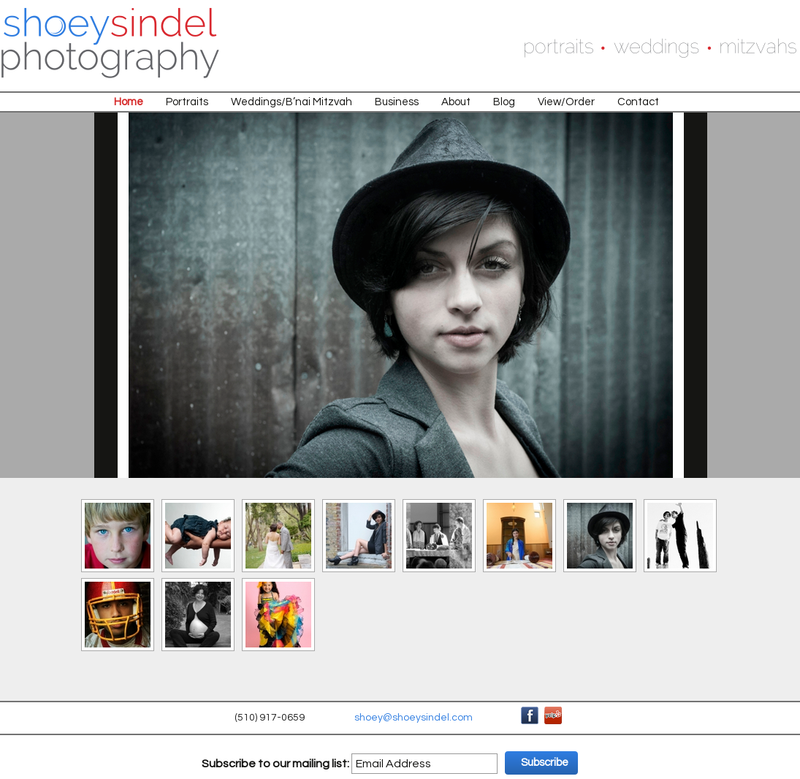 Shoey Sindel is a local photographer with an amazing gift for capturing expressions and moments in time with her portraits and event photographs. Her gorgeous and intimate images become precious and indelible mementos of people and times. The website uses the Wordpress content management system, so Shoey can add new images and galleries, including "proof" galleries for clients. The custom gallery slideshow allows her to choose the colors that each image is framed by. 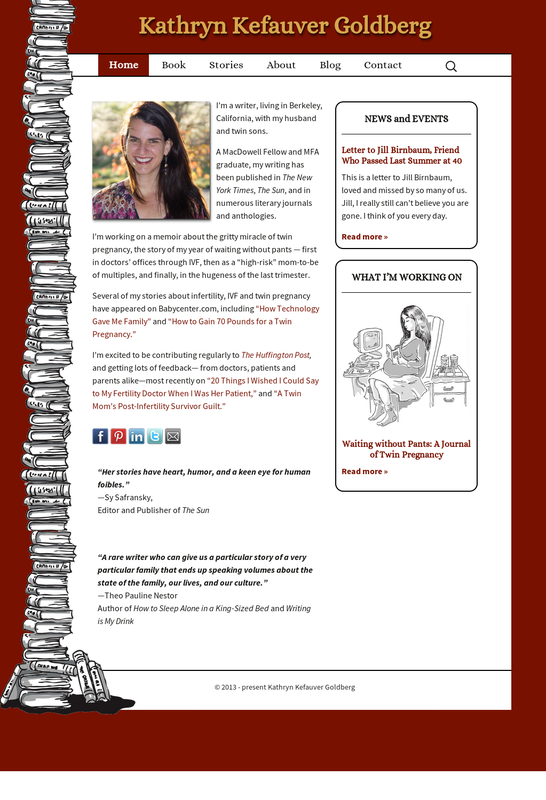 We imported her existing blog into the site, so that now all her content is now under the same roof. The spare logo and clean color scheme of the site were created by Jason Wizelman of Nice Design. 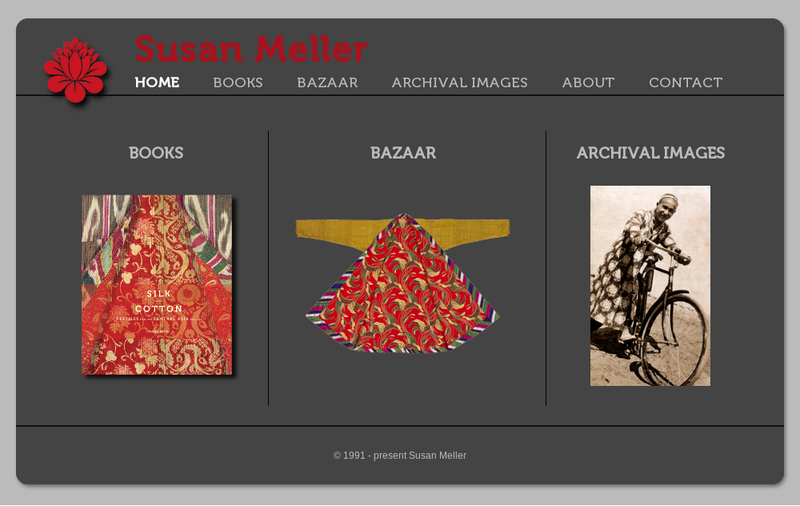 The WordPress website of renowned textile expert Susan Meller was a joy and a challenge to build. We worked together to build a simple and clean site to frame her stunning books, Central Asian textiles, and archival images. The site contains hundreds of images - pages from her three books, photographs of the Central Asian textiles, fabrics, and notecards that she is offering for sale, and watermarked copies of photos from her collection of archival images. Each book, gallery, product category and product page is generated from hand-coded custom plugins that display the images in a clear and appealing way, while allowing the client to add and edit images and text. The site includes a full-fledged e-commerce area including inventory control. The entire site is a visual treat and an amazing resource for anyone interested in textiles or 20th century Central Asia. 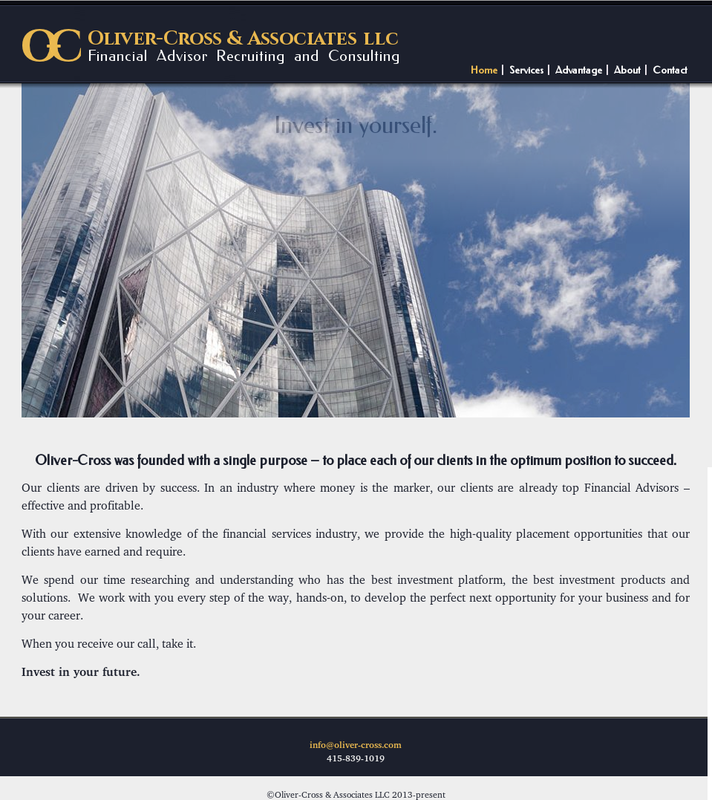 Oliver Cross and Associates specializes in financial advisor recruitment and placement, We created a clean, powerful, luxuriously designed WordPress website for them that resonates with the caliber of their prospective clients. 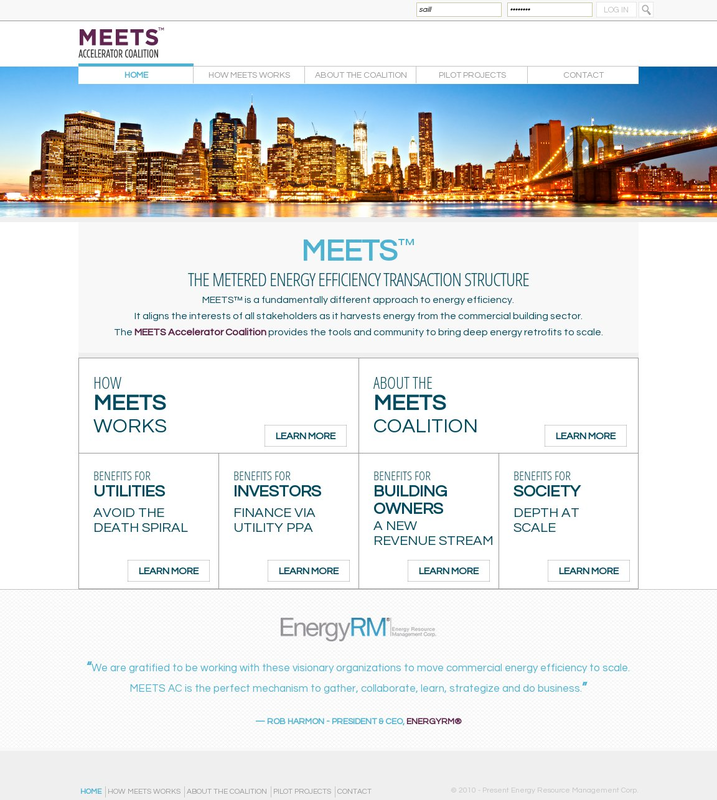 The MEETS Accelerator Coalition is a business that provides fundamentally different approach to energy efficiency. Its Metered Energy Efficiency Transaction Structure "aligns the interests of all stakeholders as it harvests energy from the commercial building sector". Because this business is built around an entirely novel and complex concept, it was challenging to present the needed information in a clear and compelling way, but working as a team with the principles of the company and using Nancy Yuzon's breathtaking design, we succeeded roundly, on a very tight deadline. This website utilizes WordPress's membership system to allow coalition members to log in and see detailed information about other members and also download private company documents, the links to which are hidden from search engines. 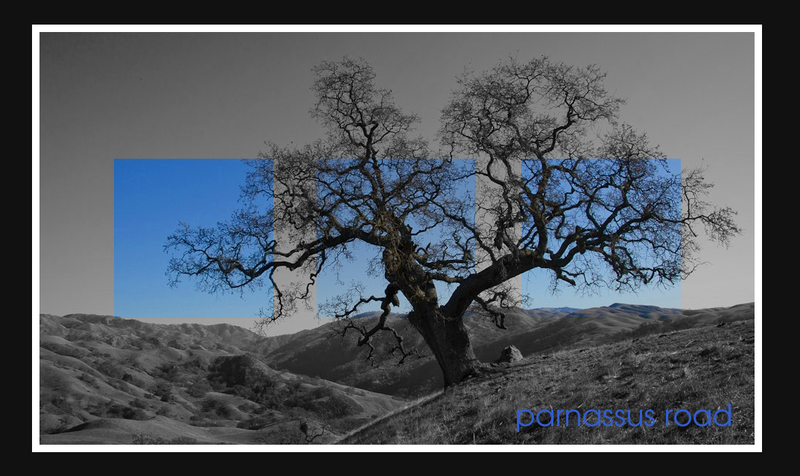 Parnassus Road was inspired by the jaw-dropping beauty of our client's photography, we created a gorgeous blog and photo gallery website where he can curate and display his photographs. This highly customized Wordpress site includes individually styled areas for the client's posts about food and gardening and three photo galleries - two simple ones for photos of friends and family, and one dramatic gallery with a full-screen option to showcase his truly beautiful nature photography. As with all our Wordpress sites, the final stage of the process was a lesson for the client on how to add content to the site. Despite the complexity of the site, including two blog post categories and two different gallery plugins with separate admin interfaces, our client took to his blog and gallery like a fish to water, creating a stunning website that is a true pleasure to visit. 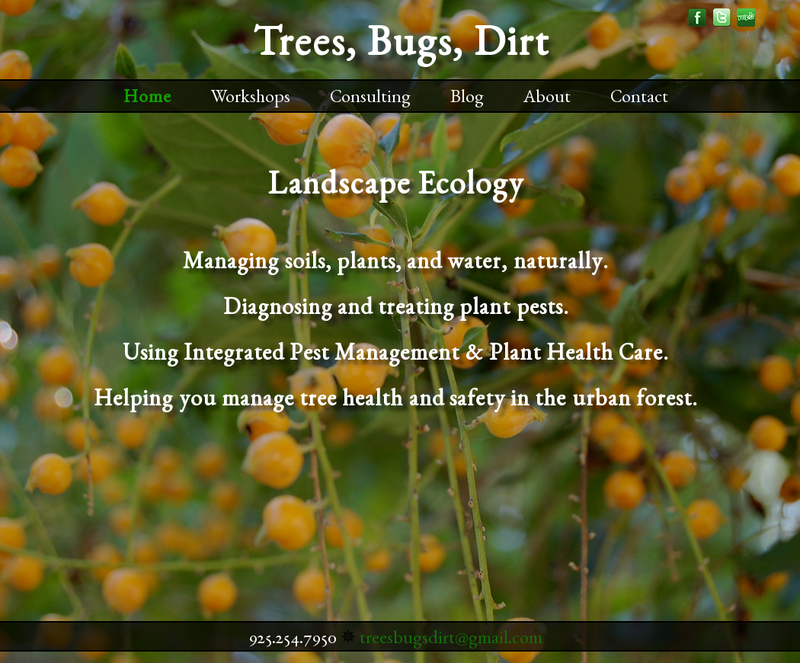 Trees Bugs Dirt is the website of a landscape ecologist, specializing in environmentally friendly landscaping consulting and workshops, including integrated pest management. For this site we used the client's amazing nature photographs as a backdrop for each page, making the homepage a mesmerizing display of changing images, while choosing a random static background image for each of the inner pages. The wonderful visuals combined with the client's wealth of knowledge about plant health makes a site that is a treat for the eyes as well as the mind. "Wicked Clever Designs are computer geniuses. If the computer programs they need are not available for what I have asked them to do they just write them themselves... instantly. My websites have a lot of moving parts but Wicked Clever Designs never uses flash so that they can be seen on hand held devices. Unlike most other designers I have worked with, they have no egos. I tell them how I want something and they do it without telling me that they don't agree with my colors or composition. On the other hand, they have a great design sense so if you need help with design they are really good at that. At this point I just tell them something general and trust that their decisions will be great. It's one less thing to worry about. Finally, if you happen to be having a nervous breakdown because your computer decided to not connect to the internet no matter what you try, you can call them and they will walk you through a way to solve the problem without shaming you at all." 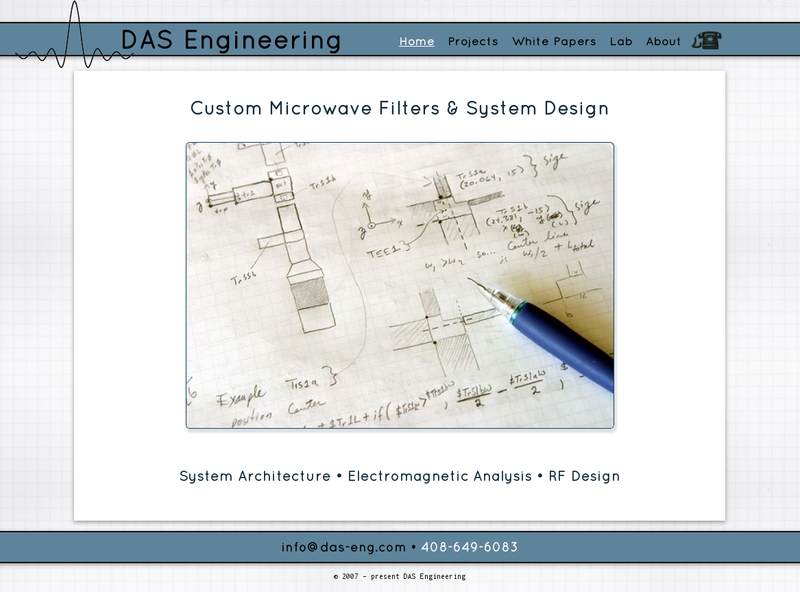 DAS Engineering is a South Bay engineering firm specializing in microwave filters, RF system design and electromagnetic analysis. We created a simple and clean look and feel for this firm's site in order to showcase the company's complex analysis and design capabilities. "Saill is an insanely obsessed coder. She built this site during four all-nighters over two weekends, because once she had the idea she couldn't quit until it was done. Very admirable. I suppose, but really I think she needs to get a little more sleep." 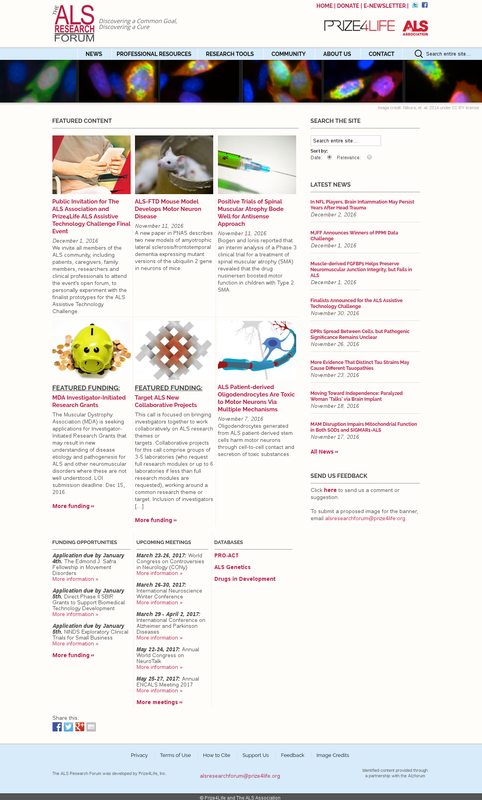 This site is clean and playful, and lots of fun for the user. 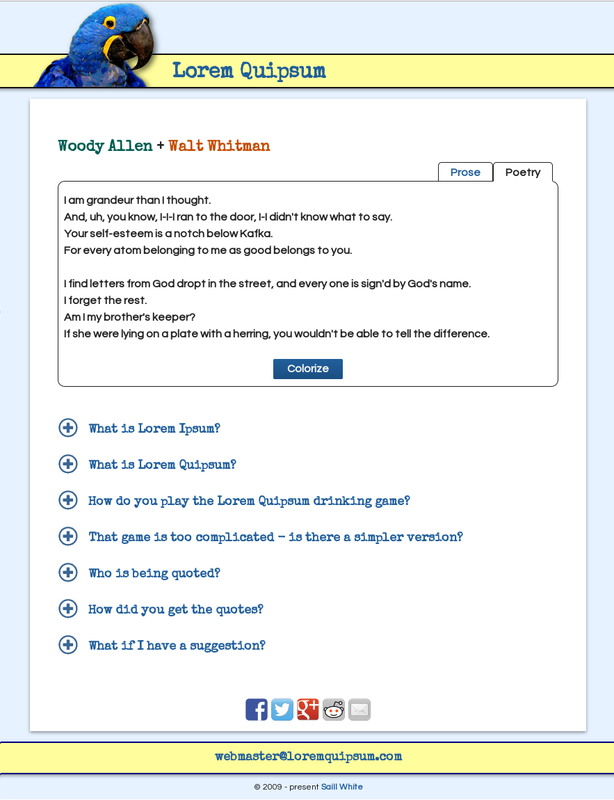 Its back-end is a database of over 36,000 literary quotes (and counting), harvested from the internet by back-end code, and stored in the WordPress database. The front-end code displays quotes from a random pair of authors every time the page is refreshed. The user can choose between "prose" and "poetry" and can colorize the quotes to see them matched up with their authors. 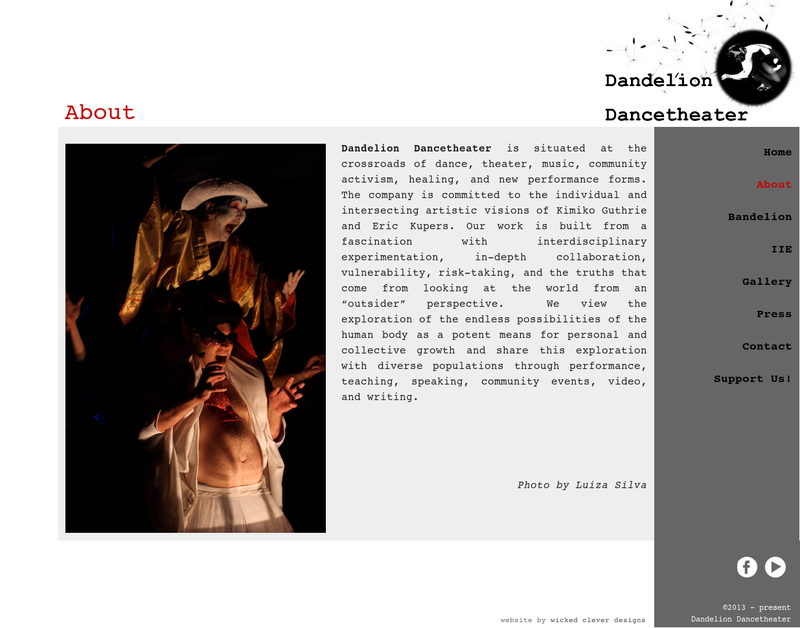 This WordPress website for the wonderful, inclusive, experimental, performance group and dance theater company Dandelion Dancetheater is a simple, somewhat raw container for the client's wealth of wonderful content. We imported the client's existing Blogger blog, and created a lively interactive menu system that the client can expand on as more content is added. We kept it simple so the wonderful photos could shine through. A truly fun project! KK Goldberg is an author, traveler, blogger, and mother of twins. 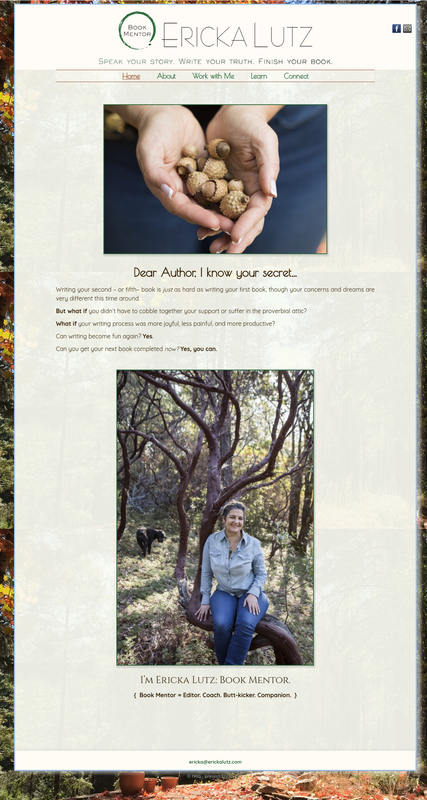 We put together this delightful and responsive Wordpress site as a container for her writing, and to promote her upcoming book "Waiting Without Pants". The illustrations are the work of the wonderful Mittie Cuetara. This website was built using the WordPress content management system, with a completely customized theme. The site is constructed from numerous photographs of the artist's freehand drawings and collages creating layers of color and texture that reflect and emphasize the artist's work. This artistically creative website was indeed a pleasure to build! "It is an understatement to say that I was overwhelmed by everything involved in getting our site completely redone. Saill made this project a breeze. Every time a new issue came up Saill addressed it as an exciting challenge. She was responsive and delightful to work with. She delivered much more than promised." 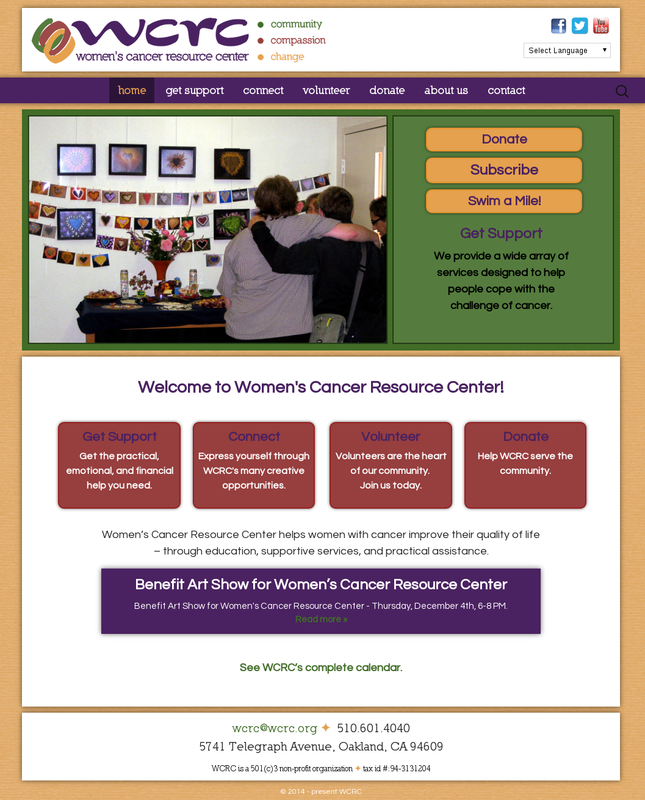 Womens Cancer Resource Center is an amazing non-profit organization that provides a multitude of services and support to women with cancer, while also providing health-oriented wellness workshops and classes to the community at large. We identified a number of independent audiences for WCRC's website, each of which need to be able to find specific information. Whether a visitor is interested in donating resources, volunteering, taking classes or obtaining services, we organized the site so the relevant information could be quickly obtained. This site required quite a bit of custom coding. It includes a registration system that allows the client to download an excel file sorted by class, rather than participant. There is also a highly customized calendar system to display upcoming workshops with "pop-up" registration forms and "more information" boxes. Finally, we created an e-commerce system allowing visitors to sign up for and pay for Continueing Education Unit Courses, with specialized email responses including links to video and exam pages for online education. "Wicked Clever, indeed. I wanted my book site to entice readers not only to read my novel, but to become invested in the whole world/experience the novel offers. Plus, I needed to be able to sell books/merchandise – and I am not a bookseller or merchant. Saill was amazing to work with. I sent her some images (the book jacket, author photo, and a few snaps from my iPhone), a few pages of text, and she quickly and elegantly gave me a site that I love and that represents my novel wonderfully." This site is an example of the most care-free possible form of e-commerce, built around the author's Paypal and CafePress accounts.